Compare the latest UK prices of delicious Campo Viejo wine. Check out the reviews, awards and Price History to get all the information you need to make the best buy. Sign up to Price Alerts and we will email you when your favourite bottle goes on sale. In a market almost completely dominated by New World brands, Campo Viejo, from one of the most traditional wine regions in the Old World, Rioja, occupies an almost unique position, as a stand alone brand, representing Rioja, with only 3 other European brands ahead of it in terms of scale, 2 of which are Pinot Grigio brands. Campo Viejo has long been a stalwart of the Spanish wine industry, and red wine drinkers love the brand, putting it just outside the top 20, at the number 22 position of biggest wine brands in the UK. Rioja has always been extremely popular in the UK, and has had a strong and loyal following for decades. After a few years in the doldrums, when quality dipped, and the world seemed to forget it, in favour of the New World, sales of Spanish wines are now riding high again, showing the strongest growth of any category in the last year, and taking 7th place on the ratings table, after South Africa. What's the Background of Campo Viejo? Rioja is steeped in centuries of tradition, from the grape varieties it is produced from, to the tightly controlled regions and indeed methods of production and ageing. Campo Viejo has taken from all of this, and has evolved accordingly, however the Campo Viejo brand and wine company was not started until just over 50 years ago, by two local winemakers, Beristan and Ortiguela, making it a youngster, compared to many old Rioja companies. Initially working out of a small winery, their objective was to bring a more modern and expressive approach to traditional Rioja winemaking. Their early success led to the building of their first ‘bodega’ (Spanish for winery), in 1969, in Logrono, at the very heart of the Rioja region. By the mid seventies, Campo Viejo was a force to be reckoned with, and was at the very forefront of the market, with distribution right across Spain, and increasingly, internationally. Having established themselves as the leading Rioja brand, Campo Viejo continued to put Rioja on the map, by winning a coveted gold medal at a major competition in 1987 in Bordeaux. Never ones to rest on their laurels, the winemakers and company owners continued to focus on making, more accessible, modern styles of Rioja, whilst maintaining the inherent style of the product. They also focussed very strongly on sustainable and environmentally friendly practices, both in the vineyards, that they had been rapidly acquiring and in their winemaking techniques. In 2001, Campo Viejo opened the doors to its new, state of the art winery, still in Logrono, a masterpiece of cutting edge winemaking techniques, architecture and sustainability. It was built in less than 3 years, and was the most modern and innovative winery in the region at that time, and the first one to publicly nail its colours to the mast of the ‘green’ or environmental movement, registering its carbon footprint before any other winery in Rioja. Today, Campo Viejo is the only truly recognised Spanish wine brand in the UK, on any scale. 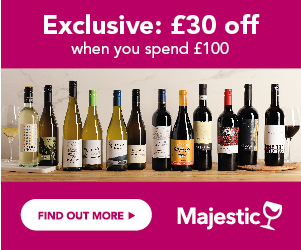 There is a great deal of brand activity, with sponsorship of supper clubs, tapas dinner, recipe books, and recently competitions to win a new kitchen, and a home make over – all this is designed to promote the wine as an integral part of the entertainment culture, be it dinner at home, or an evening out. What Styles of Wine Do Campo Viejo Produce? Campo Viejo Cava – not strictly from Rioja, Campo Viejo produces 2 top quality sparkling Cava wines, produced in the Penedes region, a fresh, crisp, fruity white, and a lively, juicy dry Rose. Campo Viejo blanco – a fresh, crisp, very modern white, with no hint of the old fashioned oak that white Rioja used to be known for; from the Viura grape, zesty, lively, with a citrus edge. There is also a medium style of Rioja blanco, called ‘semi-dulce’, with a honeyed, yet refreshing edge. Campo Viejo Rosado – made from the Tempranillo grape, this is a lively, strawberry and vanilla scented wine, bursting with juicy fruit – a great food wine, especially in the summer. Campo Viejo Tinto is a soft, cherry and strawberry fruit flavoured red, with only 4 months oak ageing, giving it a fresh, easy-drinking approachable style. Campo Viejo Reserva is a more complex red, with a balance between ripe, berry fruit and the sweet vanilla spice from the oak in which it has been matured for 18 months. Campo Viejo Gran Reserva is an even more polished, and complex red, with the benefit of a few years of maturity – a multi-award winning wine, it has been aged in oak for 2 years, then slowly matured further for 3 years in the cellars, leading to an intense, yet velvety soft style of wine, combining berry fruit, and rich, toasty, spicy flavours, with length, structure and style. Campo Viejo Dominio 2007 is the pinnacle of the range, and the most premium of the wines, aged in small French oak barrels for 11 months, then matured – it’s carefully crafted, and combines elegance, power, structure and complexity. Spanish wines have always been designed to go with food, and the Campo Viejo philosophy and sponsorship of supper clubs, and tapas evenings supports this. Campo Viejo Rioja – all the reds in the range are great food wines, but balance the intensity of the wine, with the intensity of the food. So Campo Viejo tinto would be great with good, meaty burgers, meatballs, chorizo spiced rice dishes, and cheesy pasta. The Reserva makes for an elegant match with roast lamb, lamb chops, game, and seared steak, whilst the Gran Reserva and Dominio demand more illustrious fare, such as braised beef, slow roasted lamb with garlic and rosemary, mature cheeses, and rich game stews. Campo Viejo Cava and Cava Rosado – great value party wines, perfect on their own, or with canapés, smoked salmon blinis, and bruschetta with tomato and basil. Campo Viejo blanco – this fresh, crisp white is perfect with grilled fish, pan-fried salmon, seared prawns, squid, and richly flavoured fish stew. Also great with little chicken kebabs with a red pepper sauce. Campo Viejo Rosado – a great food wine, serve chilled with all manner of spicy tapas, chorizo, prawns, squid, tortilla and also non – Spanish food, such as seared tuna, and chilli spiced white meat dishes.